In honor of Trash to Treasure Thursday, this week I’m super excited to bring you the latest and greatest news from TERRACYCLE! 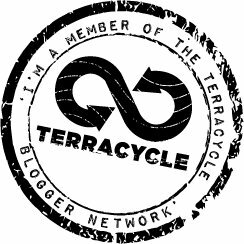 In April, TerraCycle debuted Garbage Moguls on the National Geograpic Channel – a series of television shows that documented the zany antics of the TerraCycle crew as they develop new products from our garbage. This Saturday, National Geographic will be airing the pilot along with three brand new episodes! Set your DVR’s – plan a night in with friends – but don’t forget to watch Garbage Moguls this Saturday night. The fun begins at 7pm ET as they replay the original pilot episode, followed at 8pm’s Pet Project, 9pm’s Fishy Business, and at 10pm pull an All-Nighter with the TerraCycle crew. Below is a clip from the 9pm Fishy Business episode where they Tom and Alby visit a plant in Ohio that turns 500 chip bags into a brand new trash can and pitch the idea to the Home Depot team in Atlanta. It’s my best friends birthday celebration so I may have to sneak onto my iPhone a few times to catch the action live – but shhhhh – don’t let her know!